This Football Kick Off Tee Has A New Innovative Design For Onside And Squib Kicks Used By College And Professional Teams! 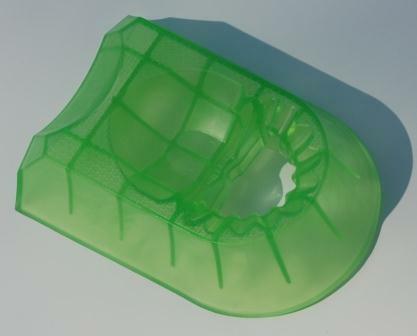 The Ground Zero Onside Kicking Tee is the top selling of all the Kicking Tees. The Triplex Stealth Tee has a reshaped middle recess for squib kicks. The same onside kick notch as in the GROUND ZERO ONSIDE tee. Ball receiving recess for conventional kickoffs is cut away and scalloped to reduce the surface area of contact – the tip of the ball doesn’t touch any tee structure!